I’ve been in the insurance industry for a number of years, and I’m becoming very confident that Malaysian Airlines (MA)/AirAsia is running a massive insurance scam. The recent AirAsia mystery adds credence to this theory and links collaborating parties (Update: they have now found some wreckage, so we’ll have to evaluate different possibilities as the investigation continues). I believe there was the means (companies and people who have shady histories) and motive (money) to do so. Before the disasters, Malaysia Airlines had been in a deep financial hole. 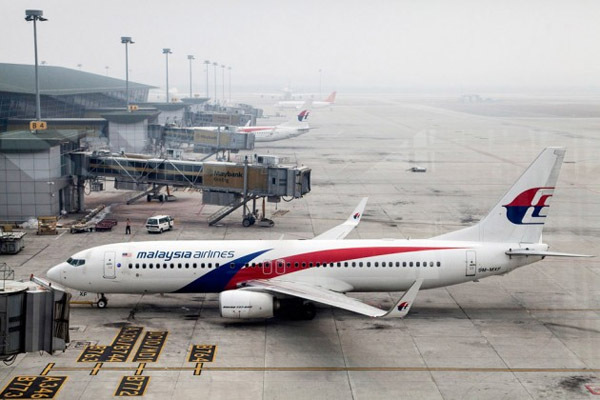 “In 2013, Malaysia Airlines was one of the world’s few unprofitable carriers”. The carrier has lost money for more than three years, beset by high costs, a proliferation of unprofitable new flying in its network, and two low-cost rivals at its home airport in Kuala Lumpur. You could assume there was a desparate need for a cash infusion. They argubly needed it more than any other airline carrier in the world. MA is owned partially by their national government. To be more specific, MA is owned by the parent company, Malaysian Airline Systems, which is owned by the government’s sovereign wealth fund, Khazanah Nasional. The MA government search response has been odd, many conflicting news reports and narratives, and the government’s response almost seems determental. You could assume governmental agents had a financial motive to collaborate in the insurance scam. Here’s the kicker..Malaysia Airlines had a broad liability policy through Allianz of Germany. The limits were “higher than normal” and went up to $2.25 billion for each crash. Willis Group Holdings was the broker for the policy. Worth mentioning: Did you know that Allianz was one of the insurers for the World Trade Towers? Willis Group Holdings was also the broker for the policy that paid out Larry Silverstein on WTC! Malaysian Airlines also had a separate “war risk” policy written by the Atrium Underwriting Group, which was immediately paid out for Flight 17, due to the Ukrainian disaster. There are unconfirmed reports that the plane had been insured for over $97 million dollars. Seems bad for the insurance company, Allianz? Not as bad as it would seem. Allianz is the 3rd largest insurer in the world and “Allianz itself has only 9 percent of the exposure, having shared the rest with other underwriters”. Also, the 370 claim was split up between the war risk policy and the broad liability policy because there wasn’t a definitive answer on what actually happened. Therefore, no pool of money was taking on the full burden of the loss. Realistically, it would be unlikely for the entire board of Allianz to be complicit. 9% loss claim is still a lot of money. If it is financial fraud, it’s more likely that a few rogue employees/agents of Allianz would protect and implement the fraud. AirAsia Flight: Same insurer as MA: Allianz. Very easy to work with same employees/agents in the deal. Also, AirAsia and MA agreed to a share swap in August of 2011, so they are very close financially as well. Unusual activities: AirIndia, a member company, has been insuring grounded and out of commission planes (see reference below). This has been protested by their pilots union. Also, MA had an “unusual claim in 2000 for the total loss of an Airbus A330 traveling in the opposite direction on the same route as Flight 370.” In that case, a canister of a mysterious Chinese shipment destined for Iran broke open near the end of a trip from Beijing to Kuala Lumpur and began leaking, producing a smell that prompted the captain to conduct an emergency evacuation upon landing of all 266 people aboard. The plane was buried near the airport and a claim of approximately 90 million was paid out. The owner of AirAsia, Tony Fernandes, an entrepreneur and owner of many businesses, also sold a high volume of shares of his travel insurance business days before the plane disappearance. Mr. Fernandes bought AirAsia for about 29 cents on September 8, 2001. The Malaysian Police Chief has not ruled out, and has publicly acknowledged that he’s still looking looking at the possibility of insurance fraud. Willis Holdings, the insurance broker, has been involved with a lot of criminal activity in the past. The company itself, or employees within the organization, definitely seem to be experienced criminals: “Willis Group Holdings has also been accused of aiding Stanfords 7 billion dollar ponzi scheme”. Link below. Malaysia is being targeted by ruling banking elite because it does not obey the the New World Order. The Date Distance between MH370 and MH17 is 132 days 132 = 33+33+33+33.